Ever wonder how these things just ‘float’ under windows? 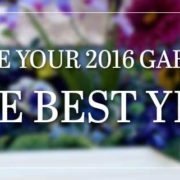 Planter boxes are timeless and beautiful home and garden additions. 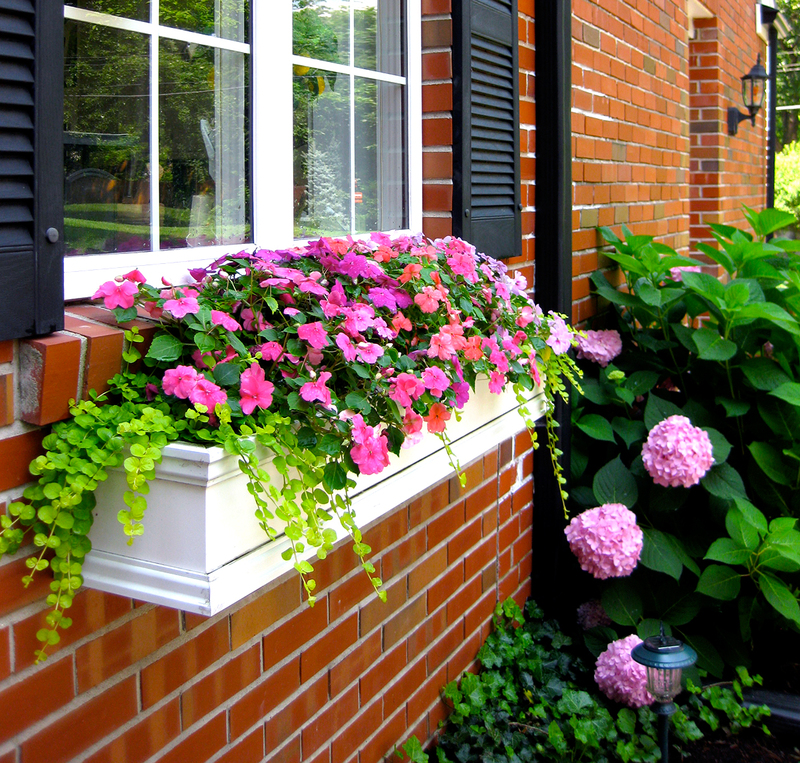 A well maintained window box planter can add a touch of elegance to any home. At HooksandLattice.com, you can choose from lots of different kinds of container designs and materials, like vinyl, wood, fiberglass, and various types of metal, but the material with the most versatility is that of the composite PVC window boxes. PVC planter boxes have the appearance of wood and can be custom painted by HooksandLattice.com, like this ArmorCoat Bronze Laguna with Cleat Mounting System, which is actually a real bronze coating (install guide included). PVC composite material looks as elegant as true wood without the hassle of maintenance. PVC window boxes don’t feel like plastic, and when painted, they look and feel like actual wood. 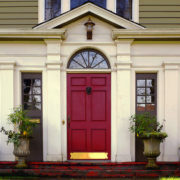 Unlike vinyl, wood, and most metal boxes, a cellular PVC will not rot, bend, sag, crack, or rust. An improperly hung window box can not only cause damage to your home, but can also cause serious injuries to yourself and others. 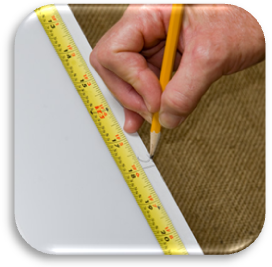 The following instructions are included only as an installation guide, and because PVC boxes can be installed on almost any siding, specific instructions will vary. 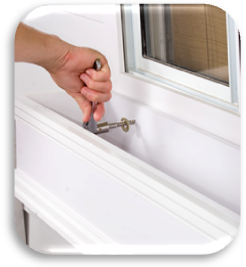 Be sure to contact a licensed contractor for your project before you hang your PVC window box. For the most traditional and simple way to hang a new window box, use a direct mount window box planter. 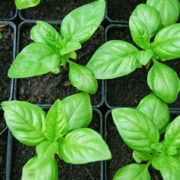 Before making your purchase, you want to make sure that you’ve got the right sized window boxes. As a general rule of thumb, it is recommended that you measure the window you intend to use so your planter box doesn’t extend more than four inches past your window. 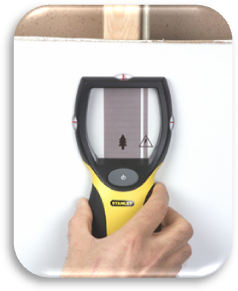 Use a stud finder to locate the studs in your wall underneath the chosen window. Mark the spot of each stud. Not having a planter box properly secured to a stud in the wall is the quickest way to bring it and maybe even part of your wall to the ground. Center the planter box underneath your window. 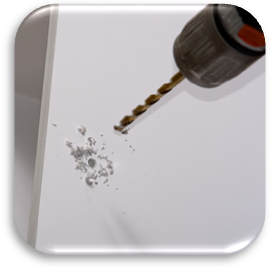 Transfer the markings from the studs to your container and drill holes into the box. It is important to properly align your markings before you transfer them and start drilling so your project will be level. Recenter the box underneath your window and mark the wall through the holes you just drilled in the box. This is where you will drill the pilot holes into your siding. If you don’t properly align your markings, you’ll be sure to have a lopsided planter box. Drill the bolt holes through the marking you made on your siding, then bolt your container to the wall. PVC window boxes are often heavy, so it may suit you to use other tools, like heavy duty clips in addition to your bolts to keep your planter box secure. Before bolting composite flower boxes to the wall, you may want to add a pair of decorative brackets to your direct mount for additional decorative flair and support for your container. A window box can be heavy on its own, but its weight grows even more when you add soil and plants. 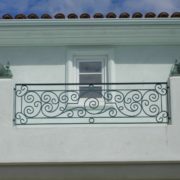 While not necessarily required, decorative brackets can be useful to provide support in windy or otherwise dangerous areas. Click here to peruse both decorative and functional support brackets. Installing planters on brick or masonry? 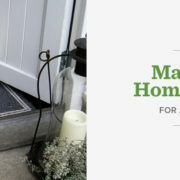 Our installation guides cover both! Now that you know how to hang window boxes, your house is posed to be the talk of the neighborhood. 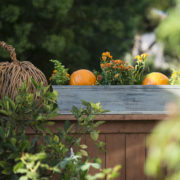 Explore our selection of charming PVC window boxes and brackets on HooksandLattice.com to bring some variety into your home and garden today. Is there a possibility that the window is installed without drilling and that it be done only by wooden pegs and polyurethane foam. Do you mean to ask if the window box can be installed without drilling into the wall? Window boxes, once filled with soil, plants, and water, become very heavy so using glue or any adhesive will not keep the box on the wall for very long, if at all. 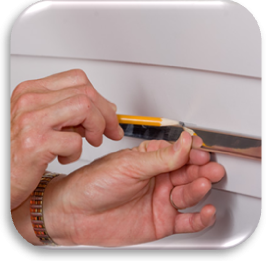 Window boxes can be installed with a cleat mounting system which then allows you to take the window box off the cleat, which is attached to the wall with screws. Hi I have a stuco house with a single layer of brick stuck on to the front of the house right where my window boxes need to go. I think that it probably needs to go through the brick and into the stuck. Am I correct? How would I do that? Do they made screws that long? Thank you so much. My house is crying for the window boxes.